CRYOGENICALLY TREATED 440C blade with a false edge on the spine. 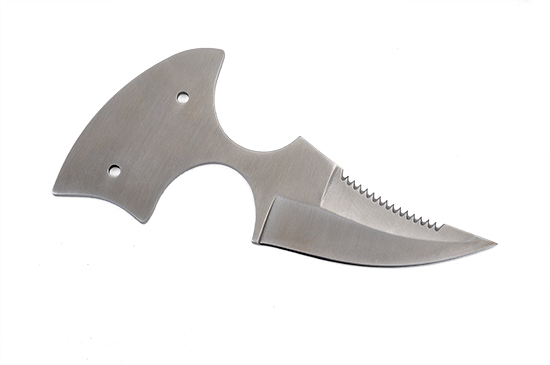 6" overall length, 1/8" thick with a 3" blade that is 1-5/8" wide with a 1-1/2" serrated top blade. Use 5/32" Pins. Fits sheath SHE13.